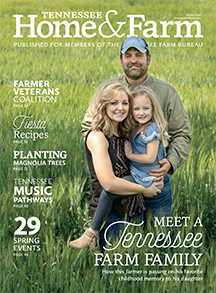 Published four times a year in print with a dynamic online presence for the 650,000 members of the Tennessee Farm Bureau Federation (the largest in the nation), Tennessee Home & Farm celebrates the rural lifestyle through award-winning photography and features on home, garden, food, travel and recreation that are uniquely Tennessee. 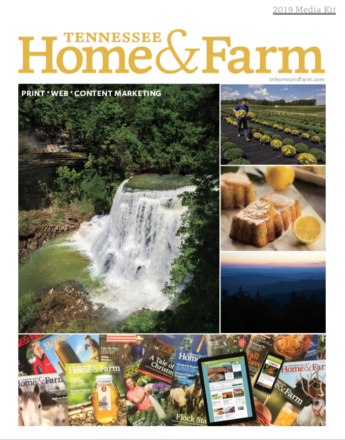 Print and online advertising packages allow you to customize your advertising message to the responsive Tennessee Home & Farm readers in a high-quality advertising environment. Monthly email newsletter sponsorships, and exclusive sponsorship of digital magazines are available. We also offer region-specific ads distributed to West, Middle and East Tennessee readers only. Bundled rates with Tennessee Connections, Mississippi Farm Country, My Indiana Home and North Carolina Field and Family are also available upon request.